In the adventure Life is Strange 2 there are a lot of collectibles, they also unlock some trophies or achievements (depending on which system you play). In this guide we show you all the locations of the optional collectibles in Life is Strange 2, Episode 1. You will receive some trophies and achievements to collect, the following trophy will be unlocked if you find all the collectibles in Episode 1. 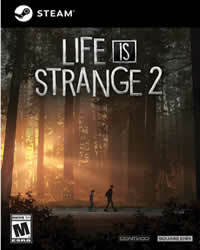 Here you can find the complete list of all successes, Life is Strange 2 Trophies Guide.